Inflation refers to a situation in which the economy’s overall price level is rising. Unemployment rate is defined as the percentage of the labor force that is unemployed. Labor force participation rate is the percentage of the adult population who are in the labor force. 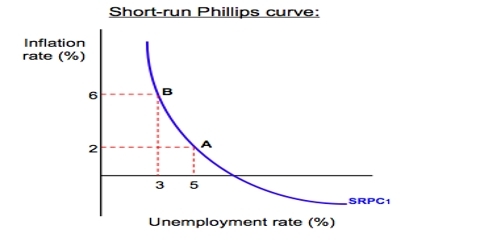 General purpose of this presentation is to describe on Inflation – Unemployment. If the economy experienced a rise in Aggregate Demand, it will cause increased output; as the economy comes closer to full employment, we also experience a rise in inflation.